Dental implants are a post placed within the bone of your jaw. A porcelain crown is placed on top, to replace your missing tooth. With the exception of your own teeth, nothing looks more natural than an implant. While an implant and restoration is a great solution to missing teeth, gum health remains essential in ensuring that they last. Regular brushing and flossing of the area, as well as dental cleanings, are important. • Of Americans between the ages of 18 and 64, approximately 49% are missing at least one tooth. • Dental implants are the most advanced tooth replacement system ever devised. • More than nine out of ten implants last longer than 15 years. • Dental implants never develop decay. • Dental implants never require root canals. • Dental implants preserve the jawbone, which can prevent premature aging. • No one can be disqualified for implant treatment solely because of their age. Some patients receive implants when they are in their nineties and are so glad they made that choice! To be able to eat comfortably is a huge part of one’s quality of life. Dental implants are not just a solution for one or two missing teeth. 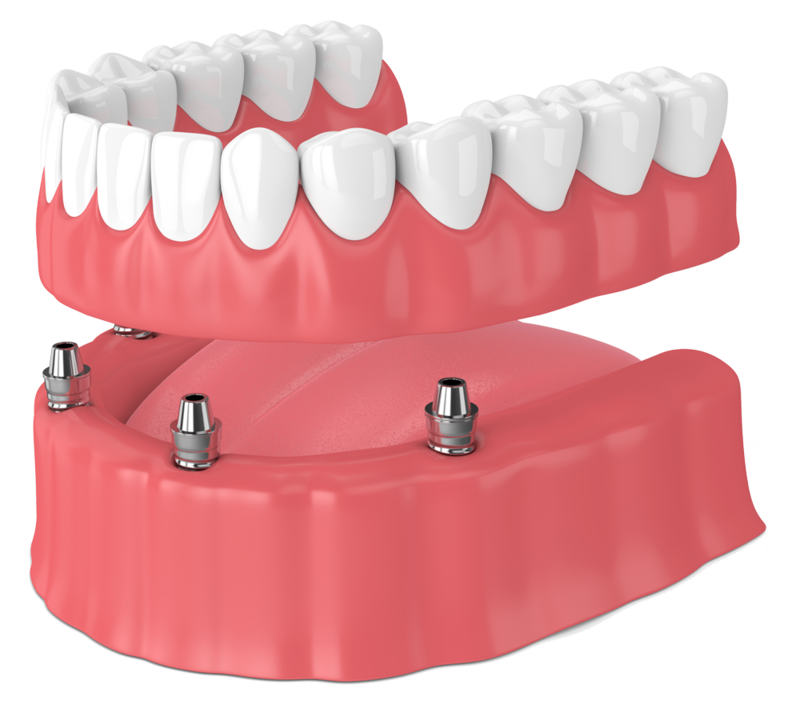 They are ideal for holding a denture secure, so it is more comfortable in your mouth.